Scott Kay is the master at creating stunning rings in the highest quality materials - treasures to be cherished and passed down for generations to come. Say "I do" with this Scott Kay masterpiece, sparkling symbols of your ever lasting love and devotion. Fashioned in shining platinum, this Scott Kay mounting features 3 gorgeous rows of round brilliant diamonds, .22 TDW with an added .23 ct tdw in the matching Scott Kay 46 diamond band. (Center stone sold separately.) 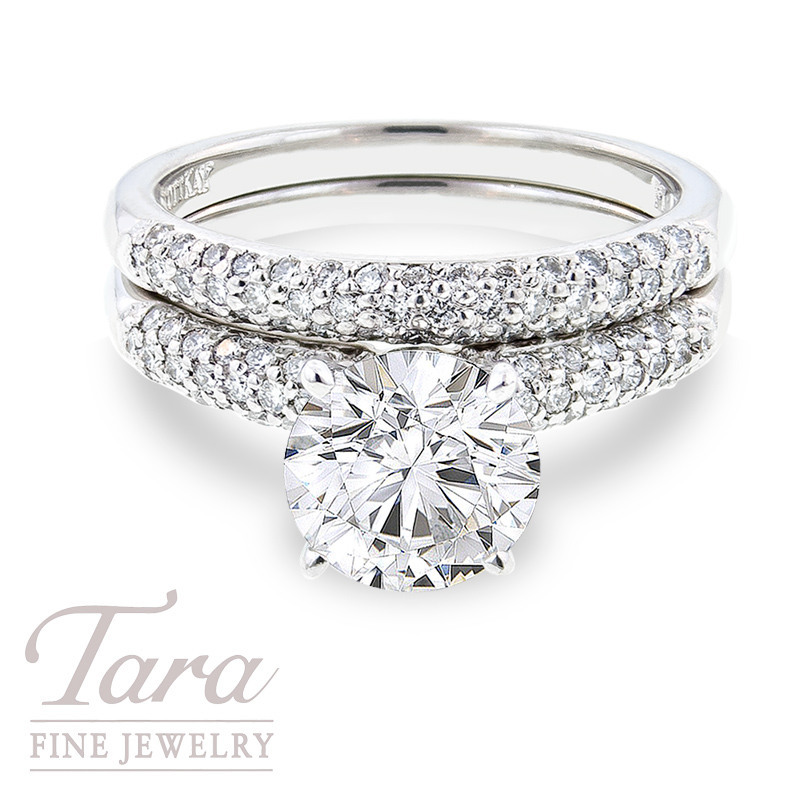 See the full Scott Kay collection of luxurious bridal jewelry, as well as top designers from across the globe, at Tara Fine Jewelry Company, Atlanta's premier full service jeweler. Home to gorgeous designer jewelry as well as luxury Swiss watches by Rolex, Omega, Tag Heuer and Breitling, Tara Fine Jewelry Company is your choice for the finest in quality, service and selection.